Sierra Leone is in process of holdings its second popular elections since the end of the civil war more than 15 years ago. The last election was in 2012 which was won by the opposition All Peoples Congress (APC) Party. This election will include ballots for Presidential, Parliamentary and Local Council representatives. In 2018, the stakes are even higher for both parties as issues of violence have marred the electoral year from February 2016; also the biometric registration process has seen both main political parties – the ruling APC and the opposition Sierra Leone People’s Party (SLPP) charged with bussing people to register or to register minors. One sitting Member of Parliament was charged among others on “conspiracy to defraud”, acquisition of fake birth certificates, etc. The foregoing makes it critical to involve citizen protection of the ballot during and before the election. Sierra Leone has one of the highest youth population – nearly 50% and more than 40% of its people are either unemployed or under-employed. This puts young people especially in a vulnerable position to be used by political parties and politicians. To counter this is to create awareness that there is more than institutionalized election observers – that the community itself will be monitoring the elections and the processes leading to the election. The goal of citizen engagement in elections communication is to create space where parties and independents are able to report (on election day) and discuss and also report on the processes leading to the election. This approach will enable the project to make citizens to be part of the process leading to election during the last leg of that process, make citizens police the ballot and integrity of the ballot from a distance (using pictures, text and other soft social media tools), engage the vulnerable groups of people that are easily abused or manipulated by political parties (usually the youth) to learn tolerance and fairness. The immediate expected impact of the project is to ensure that Sierra Leone conducts a free, transparent and fair election. By making sure that there are mechanisms in place to widely distribute information on legality and fairness of pre-election, campaigns, voting during elections, and post elections agenda’s. Citizens will be informed on the monitoring progress and most interesting observations via web platforms, social media, SMS and data shared with broader public via weekly Internet updates in web portal. 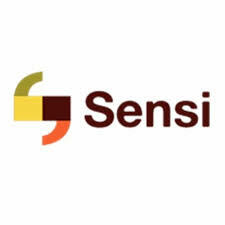 Sensi is building a technology innovation community in Sierra Leone that will drive economic and social development through providing an open and stimulating community hub for young technologists and entrepreneurs to come together, develop their ideas and access cutting-edge tech, events, incubation programmes and training. We will unleash the untapped potential of young people interested in building businesses and making a difference in their careers. Our mission is to create an open community space where technology and entrepreneurship intersect, to build the next generation of innovative solutions and businesses in Sierra Leone. The success of these solutions will drive social change and create employment; we will be agents of development. …for aspiring technologists and entrepreneurs to come together, build and launch the next generation of social impact apps and businesses for Sierra Leone and beyond. Built on a highly collaborative and community driven model, this open space in Freetown facilitates the mentoring, skilling, generation of, and exposure to novel ideas needed to foster a more innovative technology and business community in Sierra Leone. The Catholic Agency For Overseas Development (CAFOD), previously known as the Catholic Fund for Overseas Development, is the Catholic aid agency for England and Wales. It is an international aid agency working to alleviate poverty and suffering in developing countries. It is funded by the Catholic community in England and Wales, the British Government and the general public by donations. CAFOD was founded in 1962. CAFOD's aims are to promote long-term development; respond to emergencies; raise public awareness of the causes of poverty; speak out on behalf of poor communities; and promote social justice in witness to Christian faith and gospel values. It is also involved in short-term relief. It is a sponsor of the new Las Casas Institute at Blackfriars Hall, University of Oxford. CAFOD is an agency of the Catholic Bishops' Conference of England and Wales and part of the Caritas International Federation which operates in over 200 countries and territories worldwide. CAFOD is a member of the DEC Disasters Emergency Committee and the British Overseas Aid Group. In 2010/11 it raised £69 million and employed 369 staff. OSIWA is active in ten countries in West Africa (Benin, Cote d’Ivoire, Ghana, Guinea, Liberia, Mali, Niger, Nigeria, Sierra Leone and Senegal) with offices based in five of them. OSIWA plays a dual role in the region as both an advocate and grant-maker by enabling itself to be agenda-setters both within and alongside other organizations working on the ground. The Foundation works through a unique combination of grant making, advocacy, partnership building and technical assistance. For example, we help support the production of publications and research studies; run advocacy campaigns using creative means; and provide institutional support to partners on the ground. While most funders either tend to focus exclusively on civil society or governmental institutions, OSIWA has carved its niche through a two-pronged strategic focus: strengthening both democratic institutions and structures and civic participation in decision-making. There are several areas where, over the years, OSIWA has produced strong results. The creation of the West Africa Civil Society Institute (WACSI) as a pioneering capacity-building institution that runs workshops, trainings and conferences that focus on transparency and governance issues in the region. In 2013, WACSI provided capacity building support to over 400 civil society practitioners from about 350 civil society organizations from ten West African Countries (Cote d’Ivoire, Niger, Benin, Zimbabwe, Guinea, Ghana, Nigeria, Senegal, Liberia and Sierra Leone). Supported for awareness-raising on public service delivery. Advocacy campaigns on free movement of goods and services and ‘Publish What You Pay’ have been undertaken in several countries with positive impact in terms of improved citizens’ awareness of their rights in these areas. The development of the Election Situation Room (ESR) model for civil society engagement with elections in West Africa as a means of lesson-sharing to assure coordinated civil society efforts during election times. Organized and facilitated, alongside its sister network program Open Society Justice Initiative, the West and Central Africa Regional Consultation on the Draft Global Best Principles on National Security and Freedom of Information. We are an independent, multi-disciplinary, policy-oriented research team. Our experience within governments, among donors and civil society ensures our partners and client’s access to quality data, timely, rich analysis and excellent onsite training and workshops. Our independence enables us to takean unbiased, flexible and long-term view of issues. We adopt a catalytic and transformative role in driving forward institutional reform, and we work with a wide variety of partners in government, civil society and media to maximise the value of the reforms we advocate. We provide post- research support, training, coaching and mentoring. IGR has a readily available team of research assistants from all ethnic groups and regions of Sierra Leone.